Buy a $50 card and get three FREE games for you! 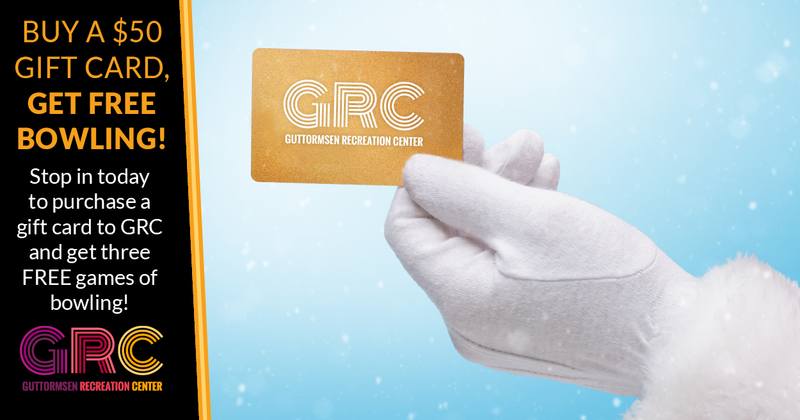 Gift Cards to GRC make great gifts! Too cold outside to play? Need to keep the kids busy during holiday break? Need a great idea for family fun this holiday? Looking for a fun gift for that certain someone? If you said YES to any of these, a GRC gift card is perfect for you. Stop in today to pick yours up. Contact us today at (262) 658-8191.